Calico Beans. Nourishing, satisfying and the best pot of beans you’ll ever tango with. A great line up of beans, bacon and a perfect combination of sweet and spicy. Planning a late Summer BBQ, you know, the one you’ve been putting off and you’re afraid you’re losing track of warm weather gatherings? 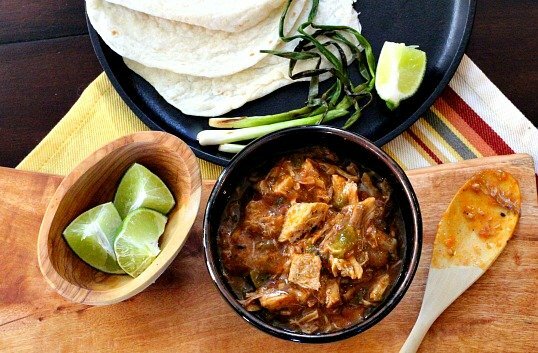 This recipe feeds a crowd and is great for a pot luck or back yard BBQ. The perfect combination of sweet and tangy, bacon is involved and canned beans makes this Calico Bean recipe is easy to make. Perfect in my book. 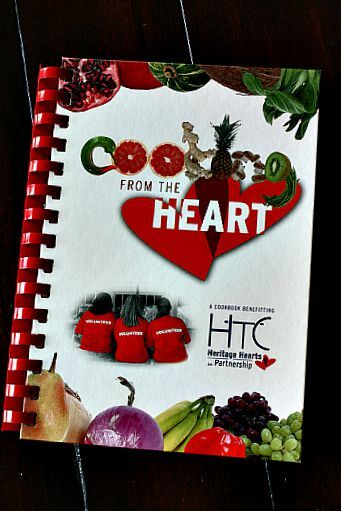 A few years ago, our company, Heritage Title, formed a committee and published a cookbook to sell with the proceeds earmarked for charity. This recipe comes from my direct supervisor, April Kovari, Vice President of Sales and Marketing. After hearing several co-workers singing its praises, I’ve wanted to make this pot of beans for a long time. I have no idea what took me so long, it’s a great recipe. When the book was published and available for sale, I bought a stock pile. I’ve given them as gifts and have a couple left. I’ll be giving one away to a reader who is interested and simply leaves a comment that you’d like to win the book. 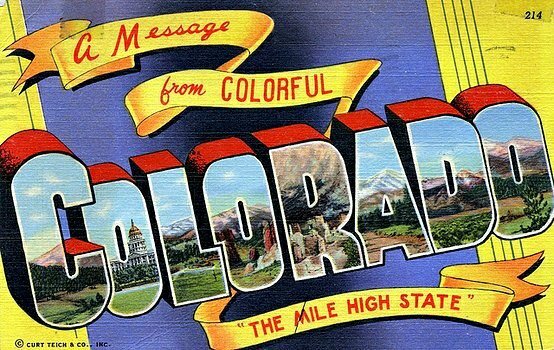 It’s 120 pages of recipes submitted by the finest group of Title folks in Colorado. Lots of goodness here. Winner will be chosen using random.org. Contest ends August 16, midnight. 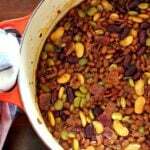 I hope you give this Calico Beans recipe a try. And if you do, please come back and let me know how you liked it and give the recipe a star rating. Your feedback is valuable to me for developing future recipes. And if you have a favorite baked beans recipe, let me know, I’d love to give it a try. Brown bacon. Once cooked, remove to a plate and drain half the grease off. Sautee onion in bacon drippings until soft. Add brown sugar, vinegar, mustard and garlic salt. Simmer 20 minutes. Add all of the beans to the sauce and mix. Mix half the bacon into the beans and crumble the rest on top. Bake uncovered at 325 degrees for 50 minutes. Calico Beans …It’s what’s for your next Pot Luck. I would love to win this cookbook. I love to cook, using recipes that intrigue me. Sounds like a delicious bean recipe – I like all of the beans you used in it. Denise, you’ve won the cookbook, can you please email me? Under “contact” on the tab on my home page. Looks like my comment posted this time. Yea! Hi Lea Ann, I would love to win this book, I love all of the recipes that you post and my daughter and her husband are trying to move to Colorado themselves which means my husband and I will be following. Beans are one of my favorite foods. I would really like to add this book to my collection!! This would go perfectly under a brisket in the smoker! Nice appearance and flavors. This looks fabulous! 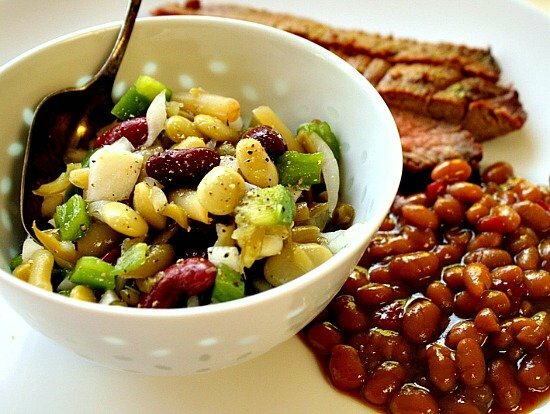 I have a pot luck barbecue I’m going to tomorrow and already made a three bean salad, but I’ll make this one soon for us to enjoy. We love beans! I also love cookbooks filled with family favorite recipes like this one so please enter my name in thé draw. Thanks! This sounds easy and delicious. 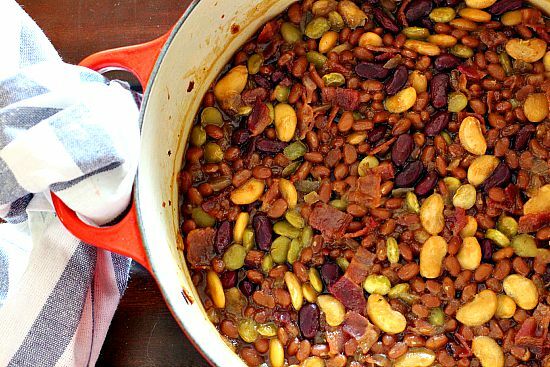 A pot of beans sounds good on a cold winter’s night. i would love to win! this cookbook will give my new cast iron dutch oven a whirl!